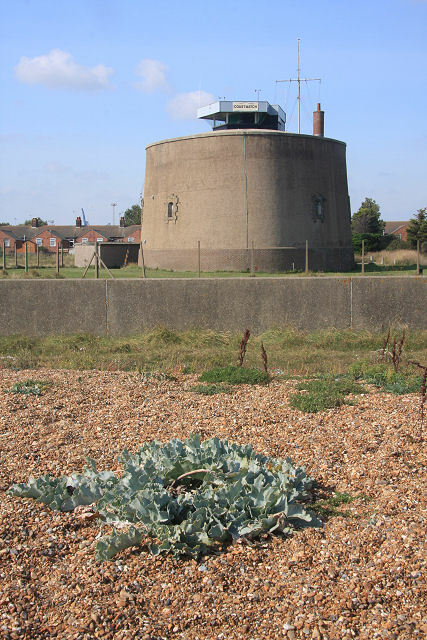 This Martello Tower at South Felixstowe is used by the National Coastwatch Institution. The station is manned by volunteers who assist HM Coastguard and the rescue services by maintaining a visual watch along the coastline. The visual lookout is situated 45ft above sea level. As well as locating people and vessels in difficulty volunteers help monitor and record local weather conditions. Each station is responsible for its own funding and the training of watchkeepers. Volunteers are all ages and come from many different walks of life. They are trained to look out for sea and shore users in trouble and must know how to deal with an emergency. This page has been viewed about 621 times.